Kevin's son Andrew went missing in 2007. Kevin and his family have spent 10 long years since, searching for answers. 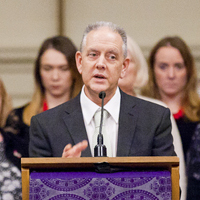 This week, Kevin will mark the anniversary of his son's disappearance in an interesting and unique way, taking the opportunity to kindly raise much needed funds for Missing People. When Andrew went missing, one of the things I noticed was how much quieter the house became. I imagine that those who have been bereaved find the same. Suddenly conversations are missing, the sound of someone else's voice and activities in the house. It is a major aspect of the sudden and inexplicable emptiness a loved one leaves when they have gone. 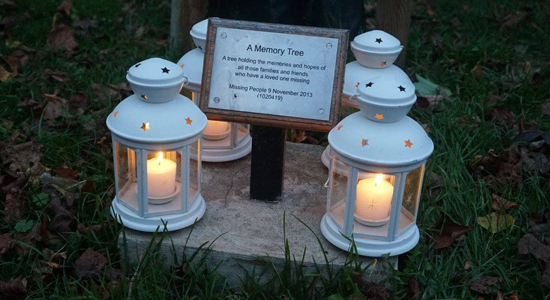 The 14th September this year is Missing People's Together to Remember event, in which a minute of silence will be held by the memory tree in London for all those who are missing. This day is also the 10th anniversary of Andrew's disappearance and to mark this day I have decided to carry out a sponsored silence to reflect the impact of a decade without our son. On 14th September I shall not utter a word for 10 hours; an hour for each year. How the first days became weeks, months and now years is difficult to comprehend for us as a family. Any sponsorship money raised will go to the charity Missing People who have provided us with so much support over these years and do so much invaluable work finding missing loved ones and reconnecting them where possible with their families. 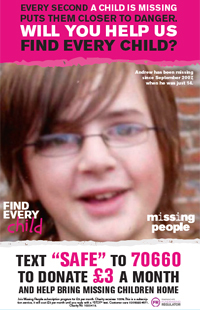 It is in this 10th year that you may have seen Andrew's face on Missing People's Find Every Child campaign posters. Please consider sponsoring me. The amount is not important. Lots of people pledging 10p an hour to keep me quiet will add up quickly to a significant amount for the charity.